We are the foremost manufacturer, exporter and supplier of Molded Polyurethane Foam. This product is made by using excellent quality material. Our firm is providing an extensive range of Contour Seat And Backrest Cushions. This product is made by experts who use the top quality material, which is obtained from truthful sellers of market. Our patrons can obtain this product in diverse sizes and designs that meet on their requirements. Quality checkers also inspect this product on definite quality norms before delivery to the patrons. 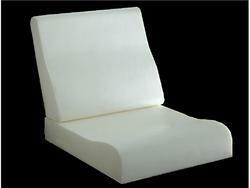 To meet the requirements of the clientele, we are offering a broad series of Malaysian Model Seat And Backrest Cushions. This product is made by industry known experts, who have years of practice of this realm. Owing to their optimum quality and longer life, this product is broadly employed in the market. 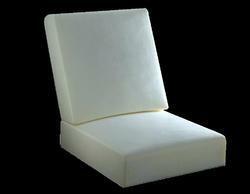 Our firm is providing a varied series of Royal Seat And Backrest Cushions. This product is made by experts who utilize the top quality material and advanced techniques. To preserve the quality, experts also check this product on diverse industry norms. Furthermore, this product is available in diverse sizes and designs that meet on customer’s demand. 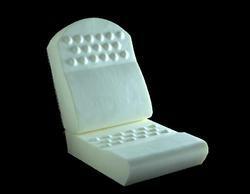 We are the renowned entity of Regular Seat And Backrest Cushions. This product is made using the advanced technique and best quality material which is obtained from top merchants of market. Our customers can avail this product in numerous patterns that meet on exact necessities of customers. Owing to high demand, we provide this product at reasonable costs.